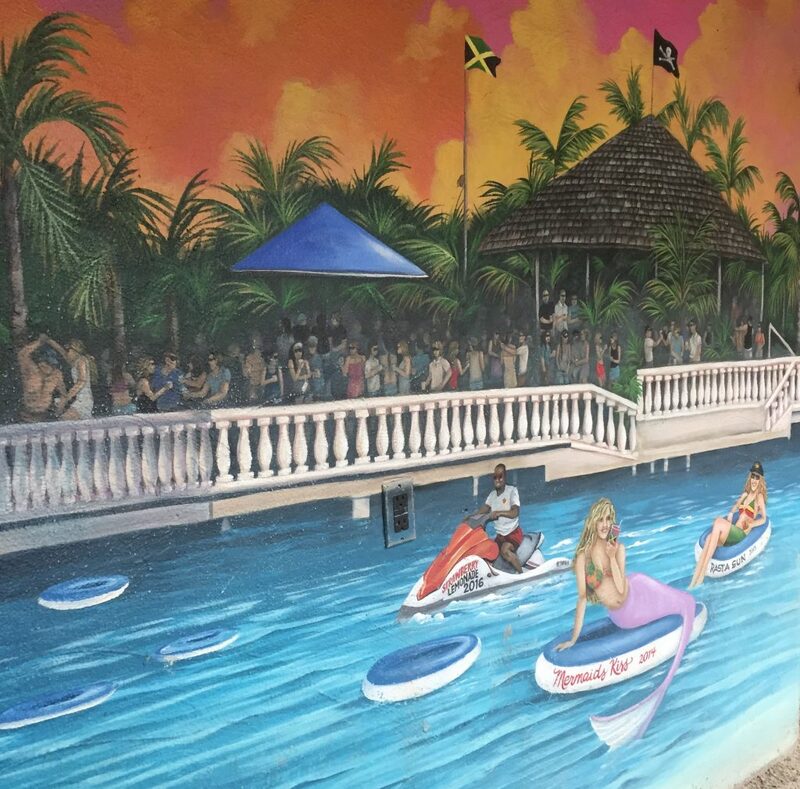 With the chance to win $1,000 in cash & prizes, a Seacrets VIP Gold Card and to be immortalized with your portrait painted on walls of Seacrets, the Name That Drink Contest is back for it’s 5th installment and it’s up to you create the next featured drink on Seacrets’ menu. 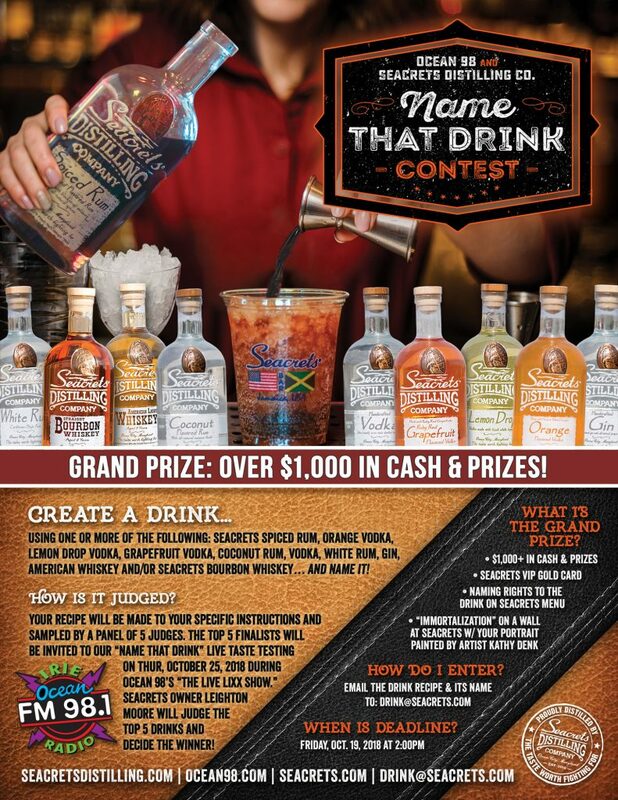 The only requirement is to use Seacrets Spirits, but what does it take to create the winning drink? Here is the inside scoop on how to win over the judges, owner Leighton Moore and the big boss Rebecca Moore. No Repeats – First and foremost, it is important to read the drink menu (click here). If we’re already making it, your drink will not make it to the final round. Work With What You’ve Got – Only use mixers Seacrets has year round – No ginger beer, simple syrup, cucumbers or fresh mint for mules or mojitos. Click Here For Available Mixers. If you have questions about liqueurs, draft beers, wines or malts (we have Hoop Tea Mango) call or email us. Think Fast – As the largest bar on the Eastern Shore, take into consideration how quickly and efficiently the bartenders can make and serve your drink. Be Creative – Last year’s winning drink was the Bugsy Bomb. That’s right, a bomb! Also in the top 5 was a twist on a margarita. Proportions Matter – Once you think you have a winning combination, make sure you know the proportions of your concoction. Your drink will be made to your exact instructions, so be specific! One final word of advice: Submit your recipe before the deadline Friday, October 19th. Good luck to all you mixologists and may the best drink win!